United Fire Group began as the dream of one man, Scott McIntyre Sr., in Cedar Rapids, Iowa, and over the past 60 years has grown into a publically traded multibillion-dollar company. United Fire Group sells through more than 1,200 independent agencies in 43 states, and as a life insurer in 36 states, represented by more than 900 independent life agencies. We employ more than 900 individuals throughout our offices in California, Colorado, Iowa (home office), Louisiana, New Jersey, Pennsylvania and Texas. 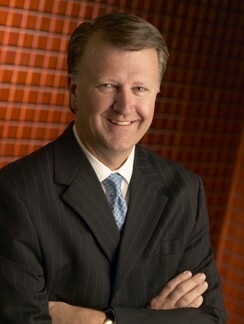 Randy A. Ramlo was named president and chief executive officer of United Fire Group in May 2007 and assumed the additional role of president of the life subsidiary, United Life Insurance Company, in May 2009. Prior to that, he was named chief operating officer of the company in 2006 and appointed executive vice president in 2004. In 2001, he was named vice president of fidelity and surety. From 1996 to 2001, he served as commercial underwriting manager after joining the company in 1984 as an underwriter. In addition to holding a bachelor�s degree from the University of Northern Iowa, Mr. Ramlo has obtained the following professional insurance designations: Associate in Management (AIM), Associate in Fidelity and Surety Bonding (AFSB), Associate in Risk Management (ARM) and Chartered Property Casualty Underwriter (CPCU). He is also a member of the CPCU Society and Surety Association of Iowa. CEOCFO: Mr. Ramlo, what is United Fire Group? Mr. Ramlo: We are predominantly a property and casualty insurance company. We have a life insurance subsidiary as well as a surety bond area. We insure ninety percent small- and mid-sized commercial accounts and about ten percent personal, which is made up of homeowners and auto. CEOCFO: Would you like to see that mix changing? Mr. Ramlo: We are currently happy with our mix of business. The life company and surety bond division each offer a degree of diversification in our footprint and we have become pretty proficient in our cross-marketing techniques. We continue to concentrate on our small- to medium-sized business coverage as we look for additional niche marketing opportunities. If I could change anything, I would increase our personal lines footprint slightly in some geographic areas, but not materially. CEOCFO: Why should people do business with United Fire Group? Mr. Ramlo: I think there are quite a few reasons. We are well known for being an underwriting company, which means we have a very well trained staff of underwriters who have a broad appetite for different kinds of accounts, so an agent values a company that can handle not only homeowners and auto, but much of their commercial lines business as well. We have a broad product mix from special products and coverages to several association types of business. Loss control is an area where we excel. We have safety engineers who travel out to many of our insureds. They meet with many smaller accounts that some of our competitors are uncomfortable visiting. We have a very fast and fair claims operation, which our agents and insureds appreciate, especially once they have a claim. We have done a very good job of selecting a professional agency force. Lastly, we are known for our robust automation platform that our agents enjoy using, which also provides us with a processing efficiency that helps our overall expense ratio. CEOCFO: Why do you like the market you have chosen? Mr. Ramlo: We DO like the market we have chosen. It is more extensive and diverse than many of our peers, but creates more flexibility to our agency force, which in turn, creates more opportunities to our underwriters for review. Mr. Ramlo: We are mostly in the Midwest, western and southern states. In 2011, we acquired a company that gave us a presence in the East and the West. This recent acquisition brought us into New York, New Jersey and Pennsylvania and, interestingly, California, Oregon, Nevada and Arizona. We do business most everywhere in-between except for the far northeast and southeast. CEOCFO: Have you been hit hard with Hurricane Sandy? Mr. Ramlo: Superstorm Sandy was certainly devastating for the Eastern Seaboard. First and foremost, we wish those affected by the storm the very best. Our adjusters and claims specialists were among the first responders and like many of our peers, we have been directly impacted by the storm. Superstorm Sandy was not our most expensive event-- that distinction goes to Hurricane Katrina. CEOCFO: How do you ramp-up to handle situations like Sandy so that you can be as effective as you would like to be? Mr. Ramlo: Soon after we know the exact footprint of an event, we deploy some pretty sophisticated modeling capabilities to identify the exact footprint of the storm. We then overlay that footprint with our exposure base to identify the number of claims expected from the event. Once that information is known, we can more easily determine the number of claims adjusters we need to deploy to the affected area. This first wave of adjustors is typically in the field about two weeks. If additional claims service is required, which was certainly the case with Superstorm Sandy, we pull personnel from our branches as needed. Over-flow claims are processed in branch locations not affected by the event to help alleviate any bottlenecks in processing. Again, due to sophisticated technical advancements, physical location is generally not relevant in the processing of claims. CEOCFO: Are acquisitions part of your growth strategy or was it just opportunistic when you moved into the northeast? Mr. Ramlo: Both. The acquisition of Mercer Insurance Group was very opportunistic. That process expanded our footprint into seven additional states we were not currently marketing. And, yes, acquisitions are a part of our growth strategy. We ideally try to entertain a merger or acquisition every five to ten years so that each acquisition is effectively integrated into our culture before the next pursuit. CEOCFO: There is a long history for United Fire Group; does it matter anymore? Mr. Ramlo: I am not sure it does. I think that longevity is not worth much if you do not keep up with the times. A longstanding reputation is something that we all brag about but the companies that remain strong and competitive are the ones that continually update their automation systems, stay abreast of what is happening in the regulatory areas, and connect with their insureds and what is going on in their businesses. I think if you do not do those things, your longstanding relationships with your agency will suffer. CEOCFO: What is new in the insurance industry? Mr. Ramlo: The big push today is predictive analytics, or what it is also known as �big data�. This is capturing more and more statistics and information about claims and our insureds, and then uses technology to predict losses, profitability and concentrations of business based on expected weather patterns. All insurers are incorporating or utilizing predictive analytics to some extent today. You have probably heard of the little device that �Flo� is encouraging you to stick in your car. Those devices can track how fast you accelerate, how quickly you break, how often you use your signal when you change lanes, if you use your seatbelt and how quickly you turn corners. This information is actually more predictive of your loss expectancy than your driving record, age, and many other things. I think you will see more instances where companies capturing more and more data and identifying predictive characteristics they can use to better manage risks. CEOCFO: What do you look for in the agents that represent you? Mr. Ramlo: We like an agency that is professional and has a good standing in their community. We especially like an agency that already represents what we consider to be �good competitors.� We look at that positively because it means they have already been able to attract some key competitors. We also want to be able to offer value to their business. We show them our list of niches and hopefully they have access to some of that type of business. We look for an agency that is growing and has developed, that is not stagnant but has continued to grow year after year. We also look for agencies that care, not only about growth, but also profitability. We want them to have a track record of insuring profitable clients. We check references and look at some of their internal specifics. We like agencies that have embraced automation and can upload and download information back and forth to us electronically. Some agencies are still working with paper files and we stay away from those. CEOCFO: What is the financial picture for United Fire Group? Mr. Ramlo: It is pretty good. We are entering into what seems to be a mini-hard market. For the first time in six or seven years, rates in aggregate are going up. Usually when we go into a hard market, rates will go up by double digits, but that has not been true this time. They have gone up for about four or five straight quarters in mid-single digits--five or six percent. That cures many woes for insurance companies. It looks like the rates are not going up as much as in previous hard markets. We are hopeful they will go up slowly but maybe for a little bit longer. Now we are getting into our second year of those small rate increases�it�s a plus that we are finally getting more adequate rates. There are many mixed signals with the economy but we see the economy improving in some pockets; it is not getting worse. We track our insureds and note if they add or remove risks when they renew their policies. Over the last two years, our insureds have been removing cars, lowering their payrolls, lowering their sales receipts, removing buildings and contents. That completely switched around in 2012, and for the first time on an aggregate basis, our insureds are adding things to their policies--payrolls, sales and automobiles. When they add insurable items to their policies, obviously our premiums go up. Between the rate increases and our exposure basis going up, we have seen some good growth this year--over ten percent and some additional profitability. I think the property and casualty industry is doing pretty well and maybe even very well in relation to some of the other industries. However, I think we have been lumped into the financial service industry and thus our stock prices have not kept up to where I think they should be. In fact, I think this is a good time to make some plays in stocks that I believe are a bit undervalued right now. CEOCFO: Why should the business and investment community pay attention to United Fire Group? Mr. Ramlo: Pricing is improving. Like most insurers, we are publically traded. If investors are willing, they can look into our investments. I think the industry did very well coming through the financial crisis. There are many big banks that failed like Lehman Brothers, and many of the stocks that completely crashed, yet this industry did not have very many of those toxic assets. If you look at our investment portfolio, it has held up very well through the financial crisis and continues to be very conservative today. You can easily verify who has a good book of assets and who does not. I think maybe the industry is not as strong on their claims reserving as they have been in the past, but you can pick certain companies--of which United Fire Group would be one--that continue to show strong reserving, meaning that we are putting aside enough money to pay the claims that we are anticipating. We have a long track record of continually showing that we know what we are doing when it comes to reserving. Lastly, I think one way to look at this industry long-term is this: we tend to trade about 10% to 25% above our book value and today many companies are trading at 70% or 80% of their book value. If you look over that list, you can find some very strong companies, such as United Fire, that are currently trading below book value in a time when we have a very strong asset base. Our reserving still looks strong and the prospects for our business from a growth and profitability basis are very positive.